Duncan Ryūken Williams discusses his new book, American Sutra: A Story of Faith and Freedom in the Second World War, in a public lecture on March 4, at 4:30 p.m. at the University of Hawaiʻi at Mānoa Hawai‘i Institute of Geophysics room 110. Williams is a professor of religion and East Asian languages and cultures and the director of the Shinso Ito Center for Japanese Religions and Culture at the University of Southern California. Williams explores one of the darkest moments in the history of civil liberties in the United States when President Franklin D. Roosevelt signed Executive Order 9066 on February 19, 1942, authorizing the internment of tens of thousands of Japanese and Japanese Americans. Even during this period of extreme hardship, Japanese Americans fought to defend their faith and preserve religious freedom. American Sutra tells not only a tale of injustice, but also a moving story of faith. 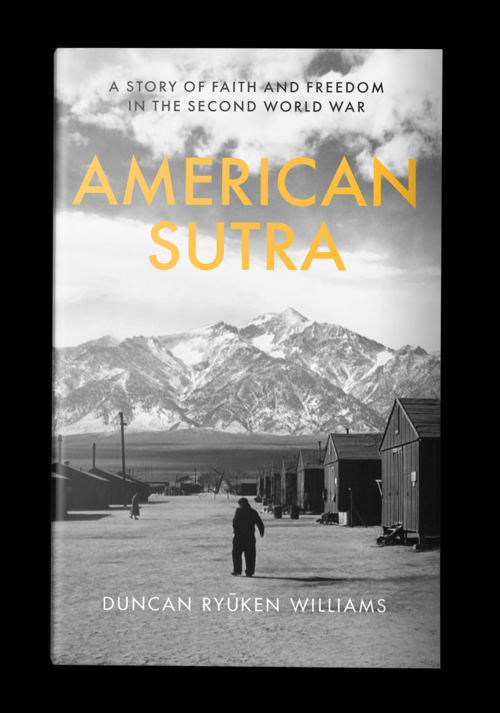 Williams reveals how, even as they were stripped of their homes and imprisoned in camps, Japanese American Buddhists launched one of the most inspiring defenses of religious freedom in our nation’s history, insisting that they could be both Buddhist and American. Williams is the author, co-editor, and translator of many books on Buddhism in Japan and the United States as well as the study of hapa identities. He is an ordained Buddhist priest in the Soto Zen tradition and served as the Buddhist chaplain at Harvard University from 1994–96. The lecture is sponsored by the UH Mānoa departments of American Studies and religion. Autographed copies of American Sutra will be available for purchase at the event.